Ping’an Financial Centre is located in the CBD area of Shenzhen Fu’tian. The Centre has covers an area over 19,000m2 with 459,200m2 in construction area; separated into 2 main towers in the north and south. The north tower is 600m high with 118 stories; it is the second highest in China and fourth highest in modern architecture around the world. The Financial Centre consists of 5 office area as well as 10 stories, 80,000m2 commercial space covering retail, restaurant and recreation. 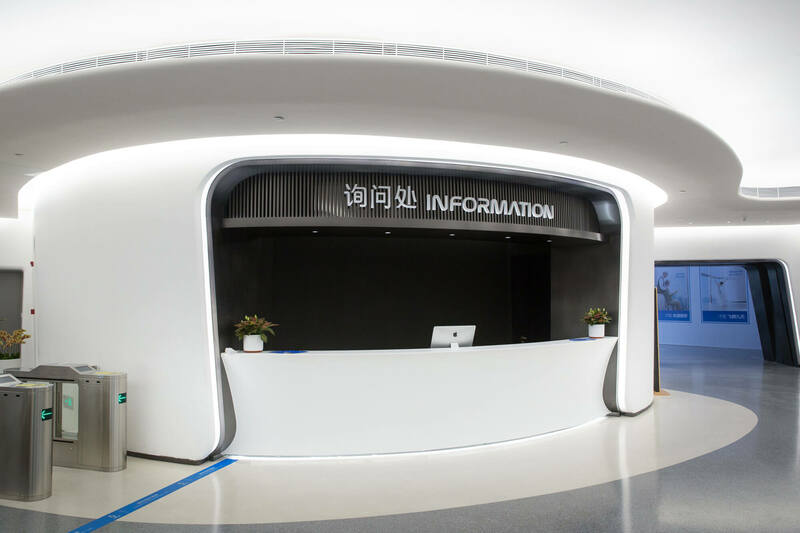 The remarkable “Free Sky Observatory” is located at the 116th floor of Ping’an Financial Centre; providing a 360-degree bird eye view area of Shenzhen city. The observatory is capable of handling 9,000 people per day and has become the new tourist attraction in town. 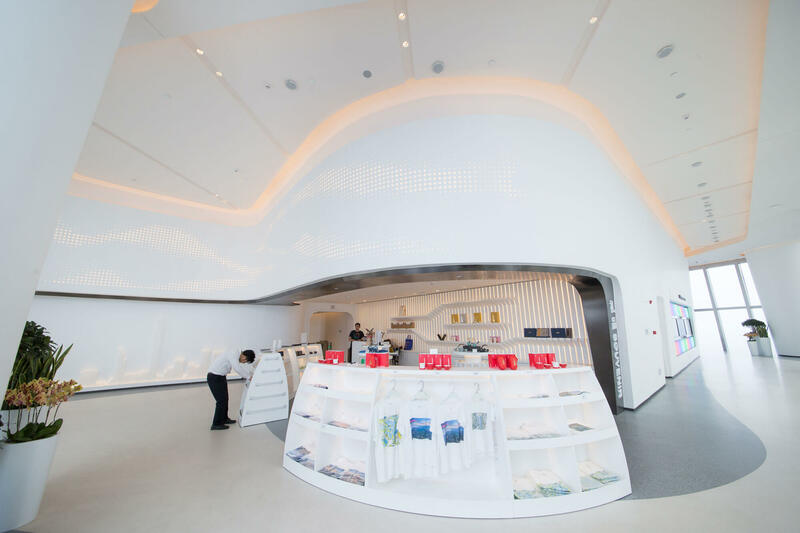 Free Sky Observatory is designed with Corian® Glacier White to form an organic unified space throughout the building; Corian® is applied from ceiling to reception area, from the ticketing area to souvenir shop, and from the washroom to elevator lobby. 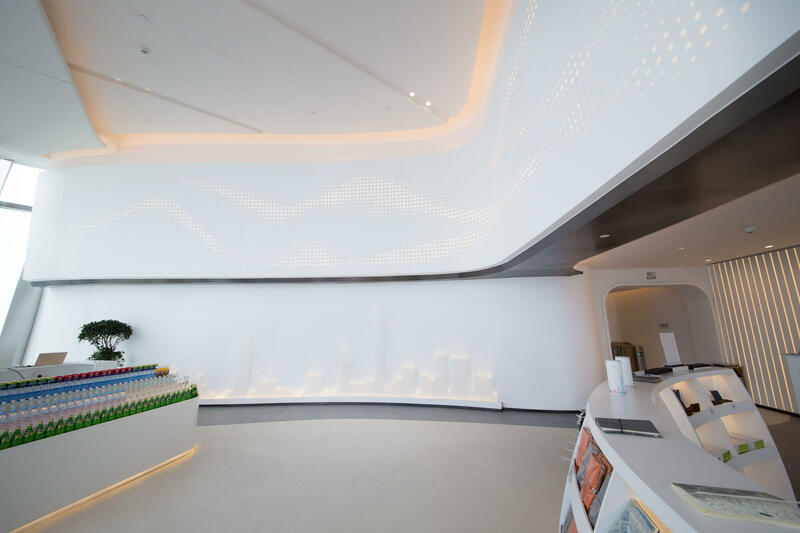 The extensive seamlessly jointed space was a big challenge using conventional building material but Corian® helped architect to make it possible. 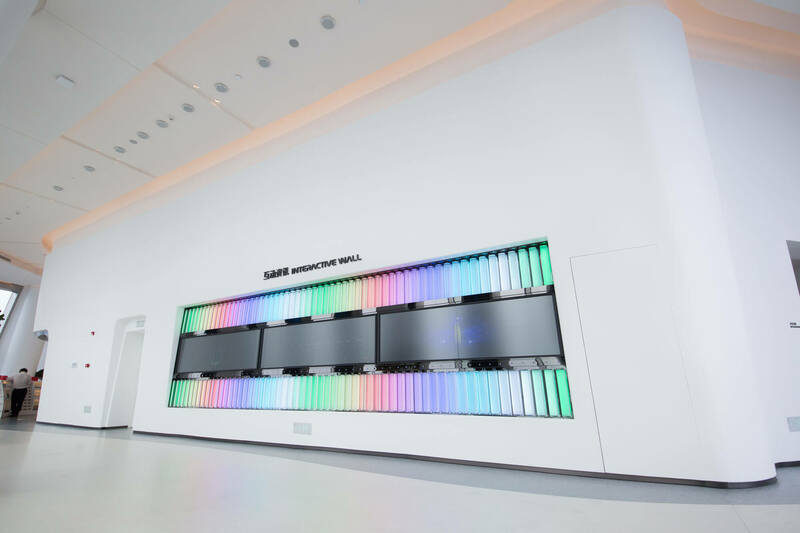 To achieve this unibody design concept, the architects digitalized every part of the observatory and broken down the design into numerous pieces just like puzzle. 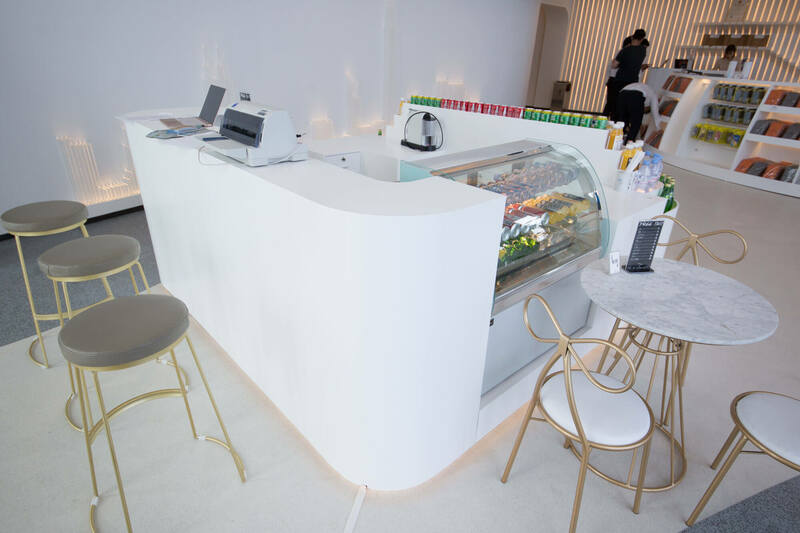 The observatory is made possible by using digitalized fabrication from the Corian® Quality Network; Corian® pieces are numbered and precisely cut through CNC, thermoformed using customized molding, and seamlessly jointed during installation. The beauty of the unified space is done without compromising functionality and aesthetics. Corian® Glacier White is found everywhere in the observatory; the countertop of reception area, ticket box and souvenir area are all made with Corian® to maintain flow in the design, as well as helping to meet the hygiene challenge presented by it being a high visitor traffic area. 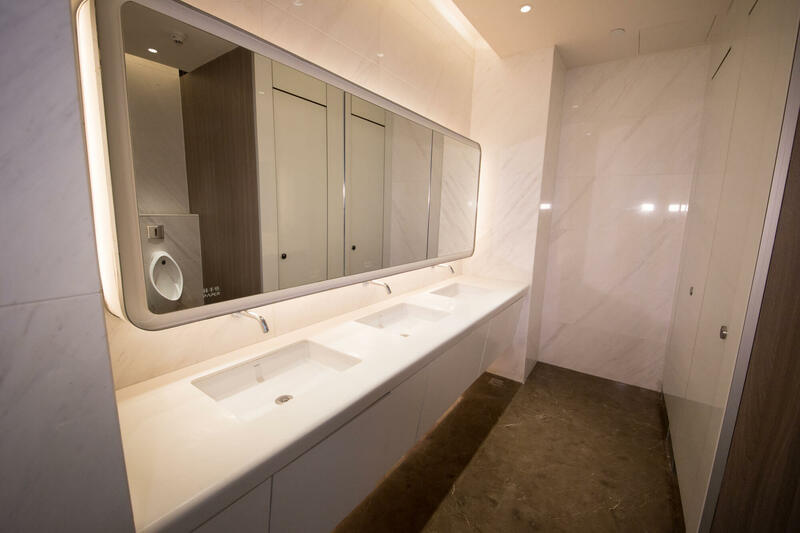 With properties such as ease of cleaning and durability, Corian® effectively reduces maintenance and repair risk; hence, reducing the overall cost. 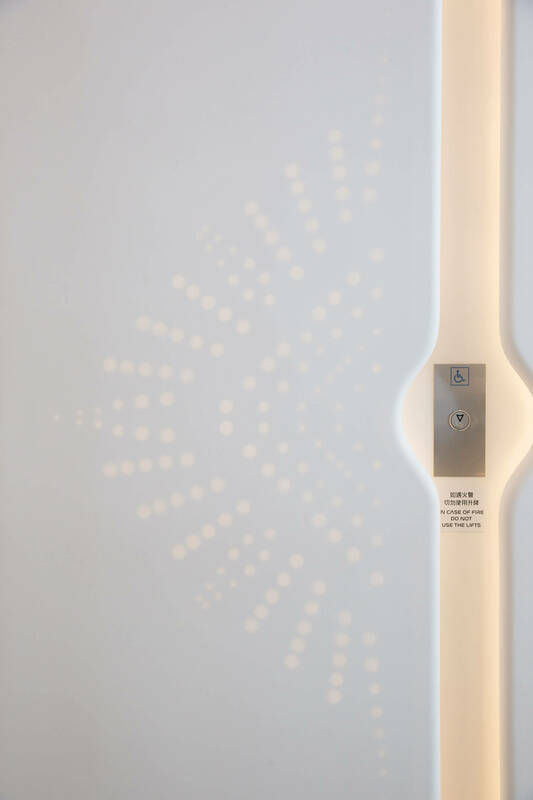 In the elevator lobby area, the white color is further combined with the translucent property of Corian to enable a futuristic atmosphere that fuses with modern design. The white observatory extends into the sky to form a unified visual as if visitors are overseeing the city in a cloud; visitors are now able to enjoy magnificent scenery on top of this modern sky scrapper.